Built on a solid foundation of a century in business, Cass has continually renewed and reinvented itself in response to a changing and challenging marketplace. 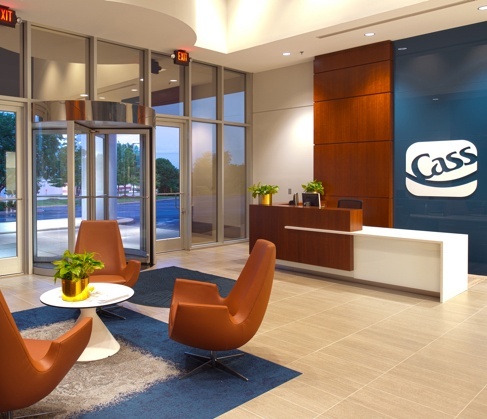 Originally founded as a neighborhood bank in St. Louis, Missouri, Cass now ranks as a leading global provider of integrated information and payment management solutions disbursing over $60 billion annually on behalf of our clients. 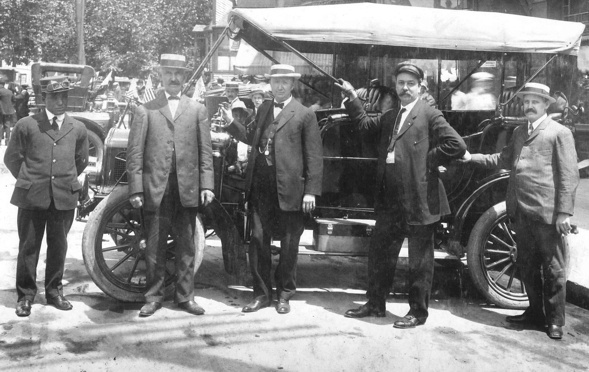 Our story begins at the dawning of the 20th century, when a group of St. Louis businessmen founded Cass Avenue Bank. By the close of its first day, deposits totaled $51,000. Our first commercial loan was a $16,000 real estate loan for two buildings and a stable. The bank quickly became a highly regarded and prosperous financial institution. In 1929, nine years after we had joined the Federal Reserve System, the Great Depression struck. 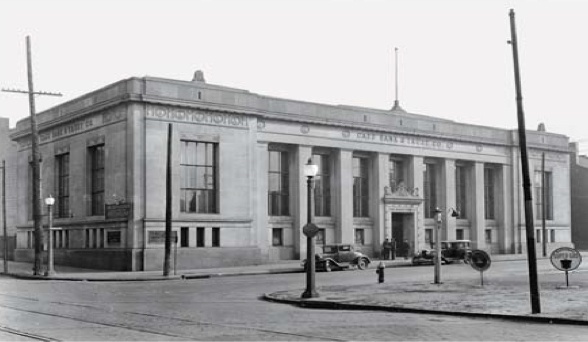 While banks throughout the United States and the world closed, Cass weathered the storm. 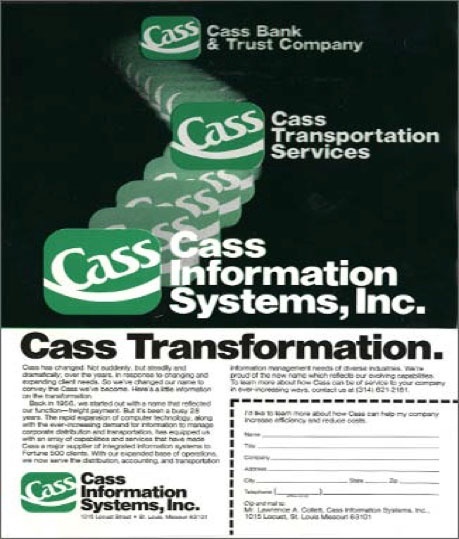 In 1983, we incorporated Cass Information Systems as a holding company for both Cass Bank and Freight Payment Services. This allowed Cass to focus on the strengths of both companies while reinforcing its position to remain an independent organization. Cass Bank is now a subsidiary of Cass Information Systems. 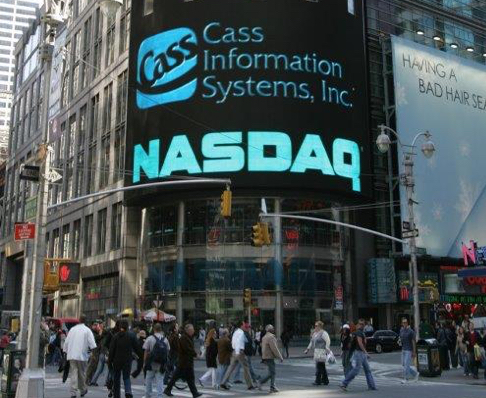 On July 12, 1996, we listed Cass Information Systems on the Nasdaq Stock Market as CASS in order to provide better visibility for the Company and liquidity for our shareholders. 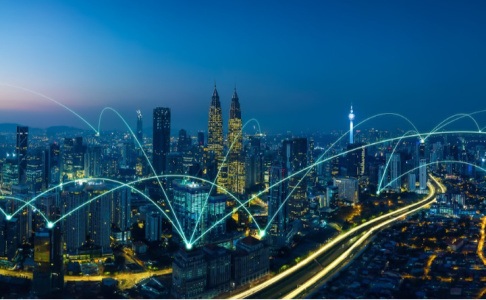 As energy costs increased throughout the 1990s, customers desired the same type of control and management information for their energy expenses that they were receiving for their transportation spend. 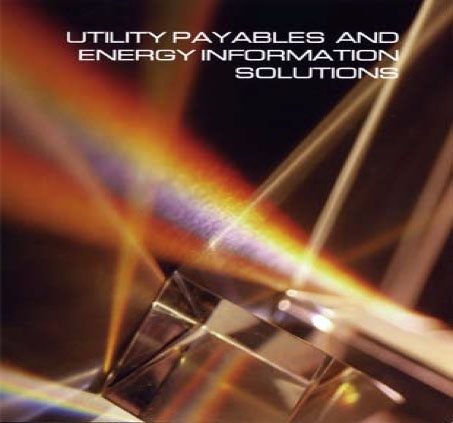 We recognized the opportunity to help large energy users manage their utility expenses by combining faster, more accurate utility bill processing with powerful business intelligence and established the new business in 1998 which is now headquartered in Columbus, Ohio. In 2004, we expanded our portfolio once again – this time entering the telecom expense management (TEM) arena, through the acquisition of ProfitLab. 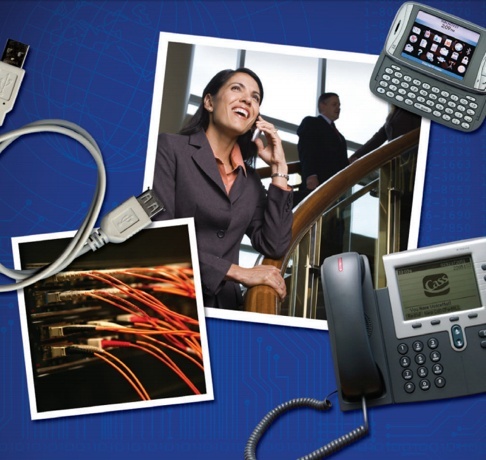 Since then, our TEM services and technology have evolved to address the entire spectrum of telecom lifecycle management, for fixed and mobile communications. Today, Cass is a proven TEM leader with an extensive list of marquee clients and a patented bring your own device (BYOD) solution. 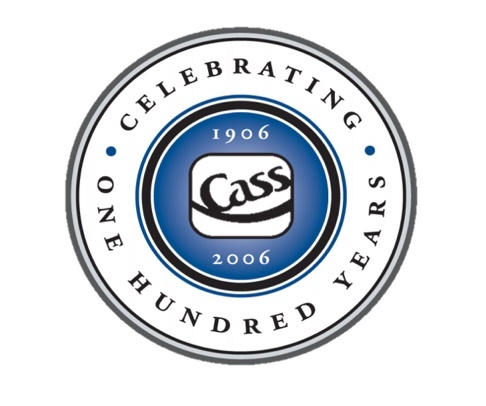 There was a major cause for celebration in 2006: Cass turned 100 years old. Total dollars disbursed on behalf of our clients approached $20 billion. 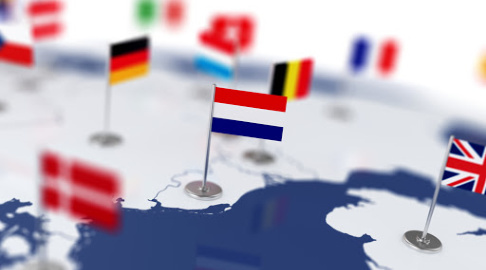 Cass begins its international expansion by establishing a European presence headquartered in Breda, The Netherlands. 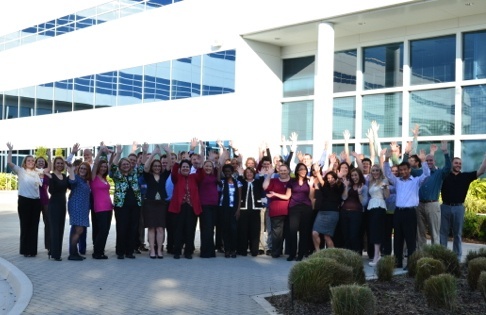 2012 saw the debut of an offering to help our clients manage yet another important cost category: waste & recycling. By acquiring Waste Reduction Consultants, Inc., Cass immediately gained a robust solution for the management of this facility-related service category. Global expansion continues. Additional locations now include South America, Singapore and, through our acquisition of Efftel, the United Kingdom. Pioneering the future of fintech, Cass recently introduced a unique solution for B2B networks, allowing them to easily pay, track, and reconcile payments of all types for their client base. 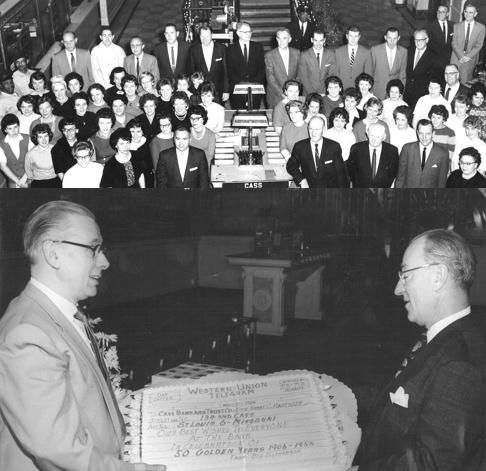 Since our beginnings more than a century ago, Cass Information Systems is today a global entity and a true leader and innovator in each industry it serves. Operating in a diverse range of sectors, Cass offers its corporate clients an array of solutions that allows enterprises to achieve visibility, control and efficiency in their supply chains, communications networks, facilities and other operations. New chapters are constantly being added to our story – check out our newsroom for all the latest information.